Back in December of 2000 when he sold the assets of Depoe Bay Fish Company, Jerry Bates thought he’d retire. But at age 52 he “couldn’t sit still”. Six months later he was back fishing. Today, at age 63, he’s still at it. Jerry is the owner of the Suki, a 52-foot steel commercial boat that plies the waters of Oregon, Washington and California for crab, tuna, halibut and salmon. Employing up to four Newport-based fishermen, the Suki will bring in 65,000 to 100,000 pounds of crab and 30 to 50 tons of tuna in an average year. Along with his partner Dave Smith, Jerry also owns the Lisa Melinda, an 86-foot crabber/trawler. Also employing up to four Newport-based fishermen, the Lisa Melinda operates in Oregon, Washington and Alaska waters and in an average year harvests a couple million pounds of pollock, up to a million pounds of cod, several million pounds of hake and 100,000 to 150,000 pounds of dungeness crab. The Bates family and local fishing go back a long way. Jerry’s dad started as a dock worker in 1933 and opened Depoe Bay Fish Company in 1950. Jerry has worked on the docks since the age of five and went into business with his dad in 1968. His son Mike is also in the industry, working at Pacific Seafood. Jerry has meant a lot to our local fishing industry. 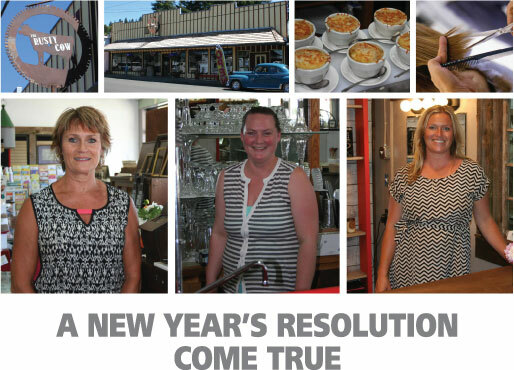 While operating Depoe Bay Fish Company for 20 years, he employed up to 200 people. When he’s not fishing himself, he still brokers fish and crab. These days, Jerry and his wife Brooke live in Logsden with three mules, five horses, two dogs and three cats. When not on the water, Jerry uses his mules and horses for hunting trips. To stay ahead in the fishing business, Jerry is continually upgrading his boats with the latest technology. To do so he maintains a strong relationship with his bank, Oregon Coast Bank. “The fishing industry has its ups and downs and you need a banker who understands those cycles,” explains Jerry. “You just can’t get that with the chain banks.” Besides his boat loans, Jerry depends on Oregon Coast Bank for a line of credit as well as his business and personal accounts. He also appreciates the camaraderie he has with his local bankers. Sometimes when he’s buying equipment to upgrade his boats he’ll simply call and say, “Make sure there’s money in your bank, I just spent it”. It’s customers like Jerry who make it such a pleasure to be a community banker. We not only appreciate his sense of humor, but all the good he’s done for our communities.